You'll run out of gas long before you run out of the jungle. Three-quarters of the nation of Belize is covered in green, from coastal swamps to inland jungles and wooded mountain ridges. The forests hold secrets that can't be seen through the windows of a tour bus. Ancient cities, mysterious caves, waterfalls and tropical wildlife are best discovered from the saddle of a nimble ATV. Riders seeking big thrills can ford rivers and make mud-splattered dashes through rolling terrain. For the more reserved, there are also fields, farm roads and hillside trails that can be enjoyed at a leisurely pace, and reward with scenic views and stops at swimming holes or local villages. 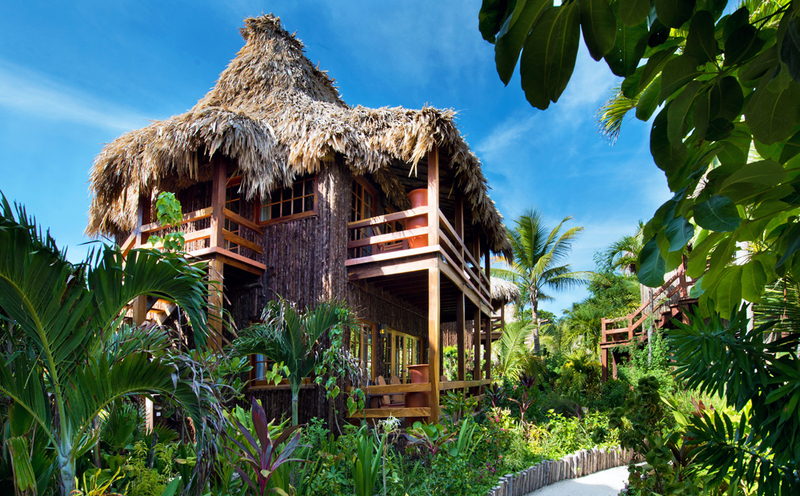 Belize is a country that packs a lot of geographic diversity into a small area. Just miles from the sandy beaches of the offshore cays, coastal swamps give way to forested plains, then rolling hills and mountains cut by river gorges. This landscape allows for a wide range of riding adventures that are available as day trips from resorts. If you love getting dirty, Belize is a good place to indulge in a wheel-spinning, mud-slinging ATV ride. While some routes remain focused on more civilized sightseeing, others are intentionally sent through streams and bogs to give riders a chance to unleash their inner mudder. Things can get extra messy during the rainy season, from June to November. Routes through the lowlands west of Belize City alternate between dense jungle thickets and open fields. At Nohoch Che'enm the Caves Branch River plays hide and seek as it runs through nine caves. The foothills of the Maya Mountains are laced with miles of trails and abandoned logging roads that become a playground for offroaders. Wear sturdy shoes that can stand up to a bit of mud and water. Ditto for your clothes, and pack a change and a towel or some wipes to prep for the ride home. Bring a bathing suit if you plan to combine an ATV ride with a cave float tour. 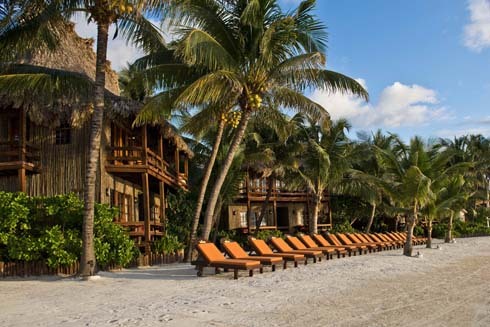 AMBERGRIS CAYE - BUILD YOUR OWN PACKAGE includes 7 nights in your choice of room accommodations, breakfast daily, roundtrip airport transfers, hotel tax and service charge. Options to add-on Island Tours, Mayan Ruin Tours, Snorkel Tours, Offroading Tours, Paddle Adventures and Zipling Excursions. 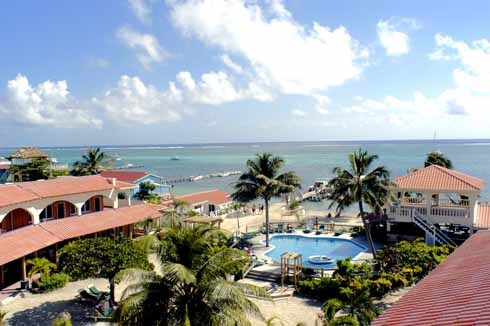 AMBERGRIS CAYE Comprised of twenty comfortable one bedroom vacation suites overlooking the beautiful blue sea. Each comes with a private balconies from where you can enjoy breathtaking sunrises, refreshing cool sea-breezes and romantic moonlight nights. It is within walking distance to grocery stores, entertainment centers, local and gourmet restaurants, banks, fruit shops, cafes, and Belizean art galleries. 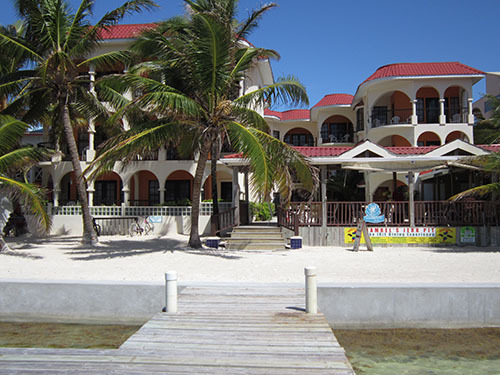 AMBERGRIS CAYE - SunBreeze Hotel puts you right in the heart of Ambergris Caye and all that the island has to offer. On the southern edge of the friendly town of San Pedro, SunBreeze’s Latin-Caribbean architectural design forms a wide crescent that embraces the waterfront as well as its own private white sand beach and palm and tropical garden complete with a fresh water pool. AMBERGRIS CAYE - Ramon’s Village is a sanctuary nestled in a tropical garden of Royal Palms, bougainvillea, lilies, hibiscus and dozens of other types of tropical flora. Surrounded by the plant life are Mayan sculptures that provide a glimpse of the civilization that preceded us in this Caribbean paradise. Once inside our enchanted village, you’ll be in a world of your own choosing. Styled after the Tahitian cottages on the Polynesian island of Bora Bora, the cabanas are built from native materials by craftsmen utilizing the same skill and techniques the islanders used in the days of the great sailing ships. Combine the lush vegetation, Mayan influence, Tahitian elements, delicious food, wonderful people, excellent service, great amenities, comfortable accommodations, superb location and the wide variety of entertainment options, and it’s no wonder Ramon’s Village Resort in San Pedro on the island of Ambergris Caye has been the first choice of travelers to Belize since 1987. A current passport, valid through your departure date, is required for entry into Belize. Your passport needs to have at least 1 blank page for the entry stamp. Proof of onward or return flights may be required at entry as well. No visa is required for stays less than 30 days. Upon departure from Belize, there is a departure tax of approximately $40.00 U.S. which should be included on your international ticket. Check the entry/exit requirements here. There are no required immunizations for entry into Belize, although you should check with your doctor and reference the Centers for Disease Control on recommended vaccinations. Belize is a true melting pot of cultures, stretching back to the stone cities of the ancient Maya, and the Arawak roots of the Garfunkel dialect that are still heard through the country. British settlers arrived in the 1600s, and English remains the nation's official language. But Spanish influences are equally prevalent, and Mennonite, Creole, Lebanese, Chinese, and East Indian immigrants have all left their mark on the collective consciousness. Today, they are all just Belizeans, and everyone gets along in a society that places a high value on civility and inclusion. This is a country that doesn't need an excuse to dance and throw a party. Weekends are reason enough for celebration, and dozens of festivals, carnivals and concerts are staged throughout the year. Head up to the country into the rainforest and wooded mountains of the interior and you are in the land of Indiana Jones where thatch-roofed eco lodges serve as base camps for jungle hikes and inner tube drifts through river caves. Head offshore and island times takes over when you land on the offshore cayes. On Ambergris Caye a flipflop and tank top vibe permeates the beach town of San Pedro, where beach bikes are the preferred mode of transportation, and packed-sand streets are fronted by colorfully painted wooden shops and taverns. Belize electricity is 110 Volt/60 cycles and uses the same plug types as the U.S., so no converters are required. Belize has a standardized seven-digit phone numbering system and a country code of 501. Many hotels offer WiFi. Be sure to check with your mobile provider to see if International plans are available for phone and data usage while in Belize. Bottled water is recommended in Belize and readily available for purchase and also supplied by some resorts. English is the official language, but Spanish is widely spoken. Other languages spoken are Maya, Garifuna, and Creole. The BelizeDdollar (BZD) is pegged to the US dollar at 2:1 - always verify whether you are paying U.S. or Belize Dollars. It's easy to change U.S. dollars just about anywhere. ATMs are available in many cities and accept major cards such as Visa, Mastercard, Cirrus, although cash will be dispensed in Belize Dollars. Most businesses will accept U.S. cash without question. They usually give change in Belizean Dollars, though they may return U.S. change if you ask. Belize is on Central Standard Time, 6 hours behind Greenwich Mean Time (-6 GMT). Belize does not observe daylight saving time. Belize is located on the Eastern coast of Central America, along the Caribbean Coast. Its capital city is Belmopan. Belize is bounded on the North by Mexico, South, and West by Guatemala, and the beautiful Caribbean Sea washes its 174-mile coastline to the East. Belize has an area of 8,866 sq. miles including 266 sq. miles of islands. The population of Belize is 367,177 (2016), while the island of Ambergris caye has an estimated 22,000, the area of Placencia approximately 1,500 and the area of Dangriga close to 10,000.